About seven months ago, Reflect7 decided to diversify it’s B2C platforms by allocating resources towards the Android Market. The phones were selling faster than Justin Bieber tickets and their App Store was just as young. The fact that our Senior Mobile Programmer (he likes us to call him that), Corey, couldn’t get service inside of our apartment made the Verizon-Android combo even more appealing. In general, Android apps are twice as spammy and half the quality of iPhone apps. In the sports section, we had little competition in terms of quality. There were news apps and a few roster apps, but no apps that combined all of the features we had. It is obvious that mobile developers are still spending a lot of their resources on the iPhone and then porting to the android as a secondary platform. Just like the early days of the App Store, the Android Market has massive keyword spamming that goes unchecked. Titles are clean but the app descriptions contain keywords that reference other popular apps. There’s also frequent IP rights infringement. I ran across hundreds of themed (wallpaper) apps in the sports section. All of them toted the official logo of each team. The majority of them were charging money. However, if the IP owner contacts Google, they will remove the apps. This happened for many of the unofficial NBA apps. People ARE paying for apps. I saw wallpaper apps that had hundreds of sales at \$1. When I saw this, I knew that Android users would pay for something that provided utility. Our first upload is at almost 100 sales within it’s first month at \$1.99. You can’t revert to a paid app once you have set your app to free. Found this little quark out after it was too late and had to upload a newer-versioned apk. Ranks seem to be based on download rate. I’ve seen apps with a smaller base show up before an app that had a huge base. It also may have something to do with current installs. Can’t make much of it yet. Once you upload your app, it’s on the Market. No delay or cumbersome approval process. Google displays robust stats. App sales, active downloads, error reports, reviews, and comments are updated 2-3 times a day. You can view and download all of the Google checkout stats for each of your customers for any chosen time period. This includes info like phone number, name, state, etc. There’s a straightforward app uploading process. Self-signing and a one-page form make it pretty easy for developers to dive in. Google has a return policy that takes some getting used to. Users have 24 hours to cancel any order. These orders are marked as Chargeable. If a user doesn’t cancel, the order is charged. We’re running at a 19.7% cancel rate. This strategy fits perfectly into Google’s open-ecosystem policy. Users have a trial period with an app and if they delete it within 24 hours, they’re refunded. This truly gives the user the final say in quality control. Overall, I’m impressed. 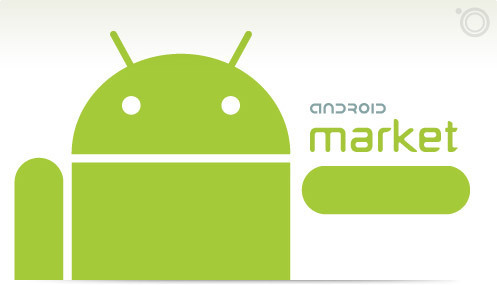 Google has done a lot with their Android Market. They stay out of the developer’s way and let customers decide app quality. They have great reports and give users a grace period to weed out low-quality apps. If they can tweak their search system a little, the cream will rise to the top giving users a more relevant search result. I trust that Google will execute.